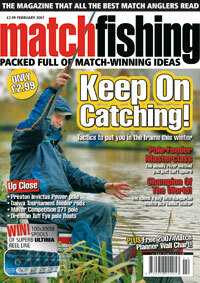 What’s in the February issue of Match Fishing? All the latest news from the wonderful world of match fishing. Our experts answer your match fishing questions – and two lucky readers win fantastic Fox Match tackle prizes! When rivers are high and coloured a pole feeder approach can often be the best method. We joined Nick Larkin, a man who has developed and fine-tuned the tactic to find out more about it. Dynamite Baits’ man Alex Bones reveals more of his methods to help you catch bigger weights. Alan Robinson, Paul Boothby and Andrew Murphy, disclose their recent match-winning approaches. 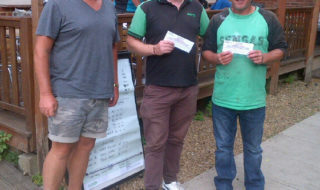 Darren reveals the tactics and approaches he used to win the recent White Acres silver fish festival. Six pages crammed with the latest mouth-watering gear. Plus our very handy tackle directory. We’ve got 20 packs of the superb new Ultima Power Plus line to give away! Winter fishing on commercials can be difficult if you don’t use the right tactics. We visited Woodland Lakes in Thirsk with Daiwa Elton Tackle team man Darrell Taylor to find out his key cold weather approach. We fire some quick questions to Avon ace Rob Middleton. 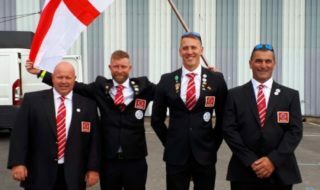 Keith Austin’s Browning Wickford squad continues its quest – to try and beat the mighty Essex County in the tough London Winter League. Last time round Will took us through his preparations for a big match in Spain. Now we join him on the bank to find out how it he fares on the fast and deep Castrejon canal. Ten years is a long time in match fishing. Find out what was going on way back in February 1997. 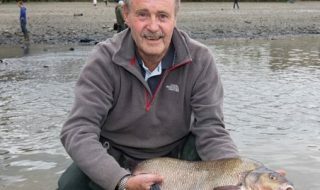 In the first of his regular monthly columns Ian ‘Scone’ Toplis looks at the good looking and the ugly side of match fishing. This guy is nuts…that’s why we signed him! Jon Arthur gets all nostalgic about the Birmingham Fazeley Canal and it’s been nip and tuck all the way in the winter league. Match Fishing magazine – produced by winners for winners!